It started with the moving ‘So they gave their bodies’ by Peter Aston to reflect on the 100th anniversary of WW1 in which the combination of orchestra with choir was quite prefect. St James has enjoyed choral music over the last five centuries and Joseph Haydn’s, ‘The Creation’ was the principal work in the programme. The choir engaged three excellent soloists opening with the bass Andri Björn Róbertsson as Raphael. This demanding part is full of light and shade and humour and Andri’s performance was superb, showing off his beautiful young voice to the full. Mark Wilde‘s accomplished tenor voice brought great clarity and drama to the part of Uriel and Laurie Ashworth’s effortlessly clear and attractive soprano voice covered this demanding part with ease. Added to this their duets and trios were a delight. The chorus work is full of light and shade and Louth Choral in conjunction with members of Grantham Choral Society excelled with good balance between parts and this was one of their best performances. The Lincolnshire Chamber Orchestra, after accompanying the choral parts so well, were centre stage in the final item, Tchaikovsky’s ‘1812 Overture’ to celebrate the 500 year life of the church tower. A thrilling tribute performance to match the recent outside roof firework display, this time with pyrotechnics in church! 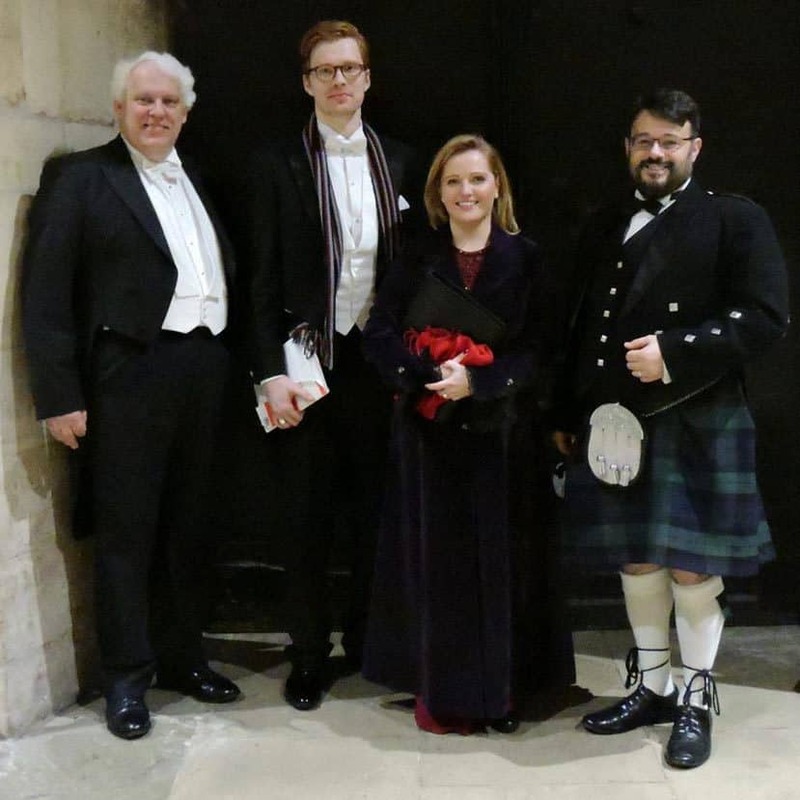 This was a most fitting and memorable concert for this special occasion and the choir under their musical director and conductor Martin Pickering are to be congratulated. It was an inspired programme starting with the reflective opening to remind one of the sacrifice of so many over the centuries to preserve our precious freedom. It was followed by the magnificence of an Oratorio, beautifully sung, to reflect on centuries of choral music in this Cathedral of the Wolds. Ending with an uplifting finale piece to celebrate the tower’s 500 year reign, no wonder there was a standing ovation at the end! The choir’s next concert is Sing Noël on Saturday 19th December and in the spring they are performing John Steiner’s ‘The Crucifixion’ in their Easter Concert on 20th March 2016, both in St James’s Church Louth. Be sure to put these dates in your diary.